From the day Village Bread Cafe opened its door at its first cafe on Philips Highway in Jacksonville, FL the goal has been to offer diners something extra special…and what could be more special than using home-made breads from its own bakery! Village Bread Cafe’s menu is described as “classic” but with a twist. At lunch you’ll find a terrific selection of grilled sandwiches, home-made soups, pizza on our own ciabatta and big, fresh salads. Breakfast is a winner too with great omelets, pancakes, French toast, our own bagels and so much more. A breakfast or lunch catered from Village Bread Cafe will bring you compliments galore. Village Bread Cafe has 3 locations serving “Classic Fare With a Twist. Do you need a birthday party catered, or maybe you want WOW your office’s annual Christmas party with some delicious food? Village Bread Café can do it all! 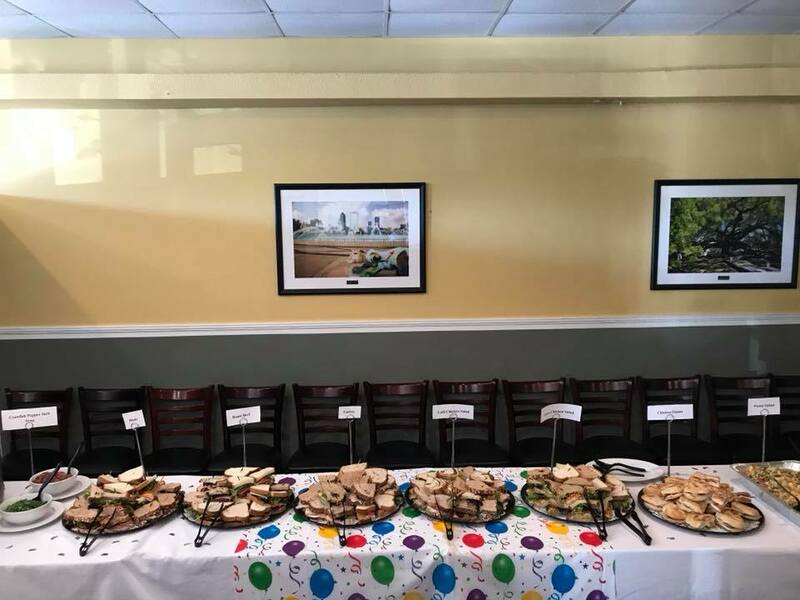 Call one of our 2 locations to let us help you with your catering needs! We always have a great experience and the food is always delicious. Today our server Montgomery brought us a brownie to try and was very kind and hospitable toward our family. Keep up the good work VB! The food is fresh made and the wait staff is excellent.when I ear there the atmosphere is friendly.the meals are always enjoyable.one of my favorite places to eat and they do not rush you through your meal. Village Bead Cafe on San Jose Blvd is one of the top breakfast spots in town. The food is excellent and the entire staff is the best. The waitresses always make sure you are comfortable and have what you need at your table to have an enjoyable meal whether by yourself to relax and read the paper or have a large group to feed.